Since Rob is headed to India today, I thought I would reflect some this week on who I am when it comes to Global Missions. 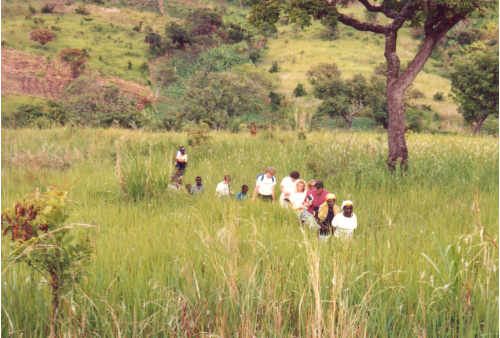 Since I was small, I had this urge to travel the world and be a missionary. Stories about Hudson Taylor in China, and even my very own Aunt and Uncle in Malaysia inspired me to want to GO to the ends of the Earth and reach the unreached with the Gospel of Jesus Christ. Here are some photos of what was perhaps my wildest journey. 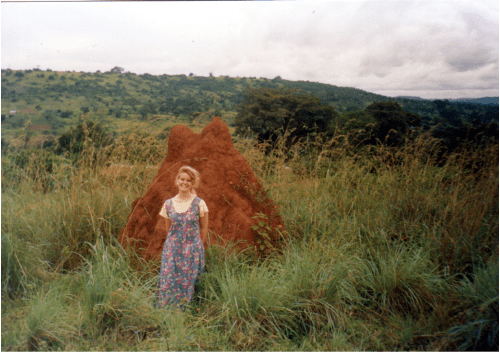 In 1992, I spent a summer in Uganda. 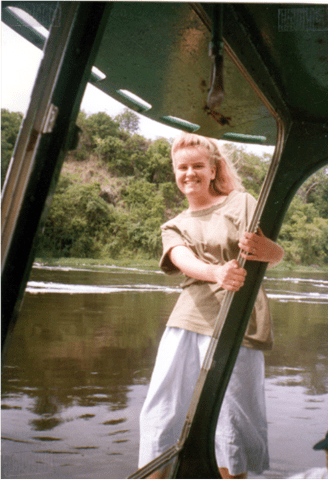 I traveled down the Nile river, got chased by a real hippo, dodged crocodiles,shared a house with a hidden Black Mamba, got Malaria…it was a wild ride! I met amazing people on that trip. 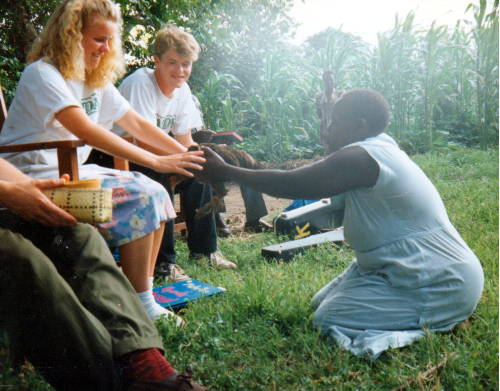 I got to sit with the First Lady of Uganda one day and tell her my story. The whole trip felt like one long dream. God awakened my heart for His people in this nation, and put such a burning passion in me for it, that today when I hear African music, my heart can hardly bear it. In the photo below, you see me at 19 years old receiving one of the greatest gifts I have ever received. A chicken. For some reason, the chief of the village we were visiting chose me to receive the most honored gift they could possibly give. Their children were starving, the women didn’t eat the day we visited, but they wanted me to have this chicken. I grew up in Chicago. I had never held a chicken or even touched one unless it came from a bucket with the words KFC written on the side. This woman kneeling before me, giving me the best gift she could think to give me has marked me forever. What am I giving to God, or anyone, that costs me so much? All I remember about that poor chicken is having to carry it back to the place we were living, which was about 2 miles away. It was full of poop. It was the most interesting gift I have ever gotten, that’s for sure.